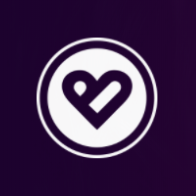 BUZCOIN is a cryptocurrency, the settlement unit of the BUZAR blockchain platform. The BUZAR platform is an integrated ecosystem where the functions of a trading platform and a communication service are realized simultaneously. 2% of sold BUZCOIN tokens will be distributed in the Bounty Program. (1 BUZCOIN = 0.1$). Bounty will be paid in BUZCOIN tokens. The Bounty campaign will proceed till autumn 2018. During this time, all participants will be able to earn “contribution” bounty. After the campaign has ended, we will distribute the entire award among all campaign participants within 3 weeks. PLEASE NOTE: All the participants of bounty campaign managed by sinatrra12 (https://bitcointalk.org/index.php?action=profile;u=1034472) will preserve their stakes but must fill in google forms again. !!! PLEASE NOTE Only 500 users will be in time! 11. You must join Telegram to participate campaign. 1: Add BUZCOIN in your Telegram Profile Picture space. 2: Add BUZCOIN link: “buzcoin.io” in your Telegram public name. 4: During the week you must leave at least 5 messages in telegram groups with at least 2000 crypto audience. !!! PLEASE NOTE Only first 2000 users will be in time! 5. You must join telegram, Facebook, Twitter and choose one more social page for joining.